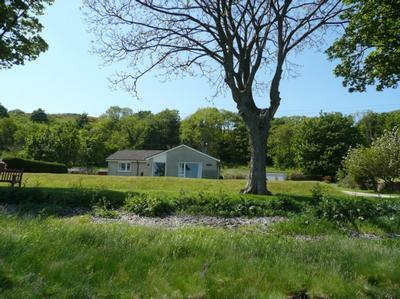 Dykenamar sits on half an acre of land with private parking. 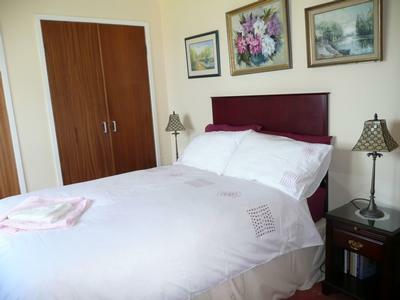 It is at the waterfront in tranquil surroundings at the south of the Island. 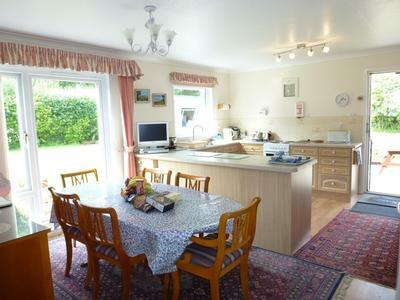 A beautiful property in a prime village position, fully living up to its 4 Star + + (84%) Tourist Board grading. 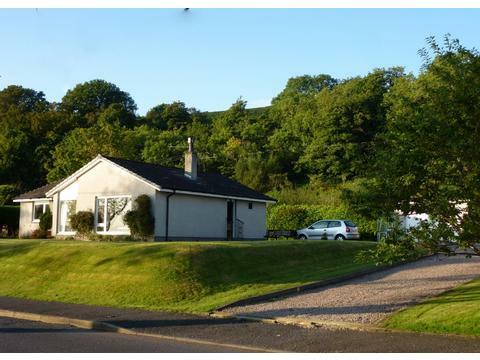 The comfortable large lounge has panoramic views over the Clyde and the large kitchen with integral dining area is a bright, well equipped family dining area. The bathroom includes WC & bath with electric overhead shower over the bath. There is also a separate cloakroom & WC. 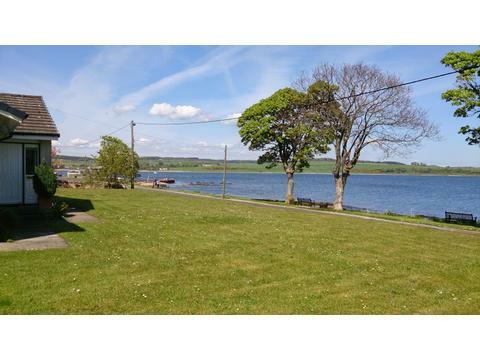 The sea on your doorstep; To the left of the property is the extensive beach of Kilchattan Bay, which is a joy at all times of year. To the right the unspoilt scenery and views of the West Island Way leading to Garroch Head Lighthouse, Glen Callum Bay & St Blane's Church which is a walk not to be missed. Through the woods you will discover ancient Standing Stones. St Blane's Church in its breathtaking surroundings, is the beautiful & very special ruins said partly to date back to the 6th Century. It can also by reached by road and then a short uphill walk. Explore the beautiful beaches and Island walks, or simply just relax in the cottage & our garden, unwind & enjoy the stillness and beauty of your surroundings. 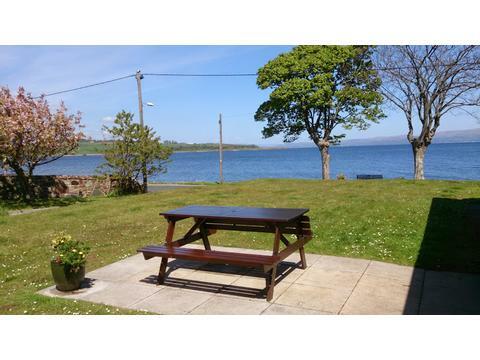 Bute enjoys a relatively mild climate, benefiting from the Gulf Stream, so all seasons can be a joy. 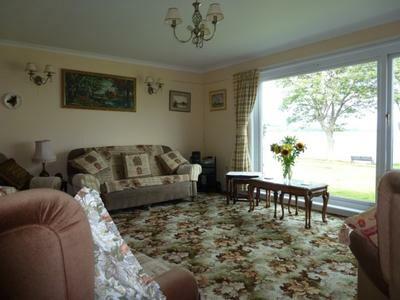 Glorious walking, bird-watching, sailing & fishing, nearby swimming, golf, horse riding and all amidst beautiful scenery. Enjoy the Bute or Dunoon Highland Games. 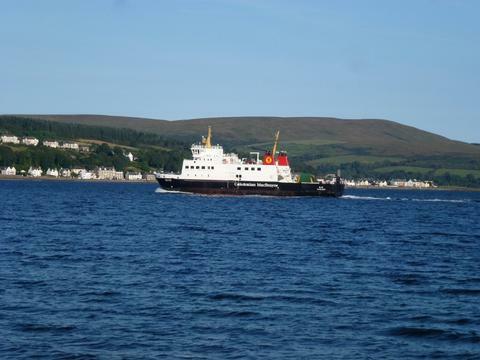 Day trip sail on the ocean-going Waverley Paddle Steamer through the Kyles of Bute to Tighnabruaich, then Loch Fyne to Tarbert, return passing Kintyre & Arran. off bute, Culzean Castle, Loch Lomond, Glasgow City where access is only three quarters of an hour by train from Wemyss Bay. 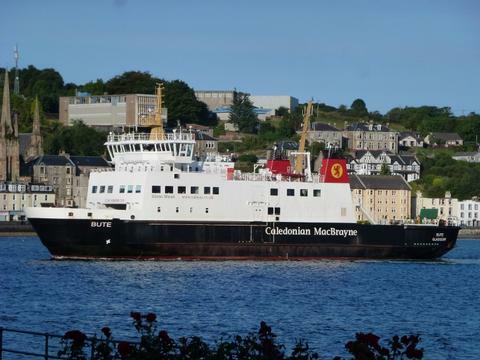 Inveraray Castle, Loch Fyne, Kintyre, Oban: + much more are all within a day's outing. 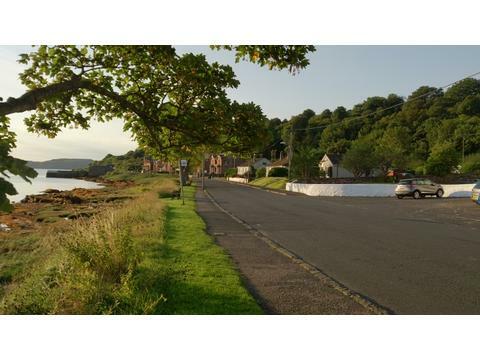 Take a drive off the North of the Island to Tighnabruaich and enjoy the splendour of the views over the Kyles of Bute. 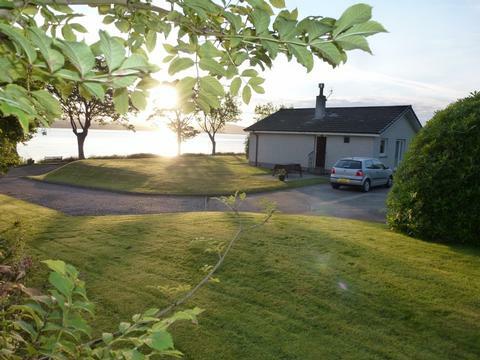 From Tighnabruaich visit the Portavadie Marina, with its modern restaurant, spar centre + swim in a heated pool overlooking Loch Fyne, or take the ferry across Loch Fyne to Tarbert in Kintyre. Pets: Welcome only if after discussion with owners, suitability is established. Booking Details: Bookings are made directly through owner, any bookings made on this website are provisional requests for reservations. The owner will contact you upon receipt of your request. Weekly Bookings normally commence 4pm Saturday and end 10am the following Saturday unless otherwise agreed. Weekly Tariff varies depending on time of year and number in party. The weekly rental prices shown in the Availability calendar are based on the Minimum Rental price for the property, which allows 4 or less Guests. 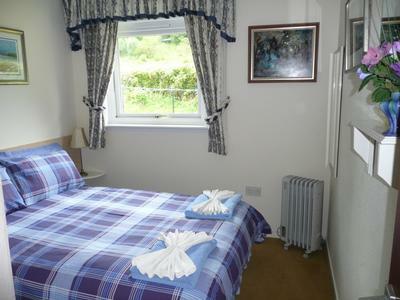 An extra charge is added of £35 per week for each additional Guest between numbers 5 to 8. 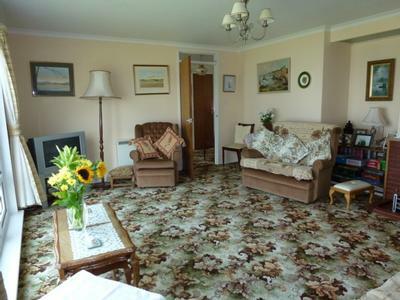 The house can accommodate up to 8 Guests, depending on suitability of Group. Please ensure you contact the owner to discuss your group prior to any booking and also to ascertain up to date availability. 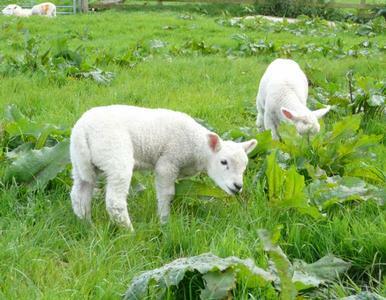 For 8 guests to be accommodated, two of the Guests must be children. Starter Pack of our choice, tailored to Guests' Preferences. 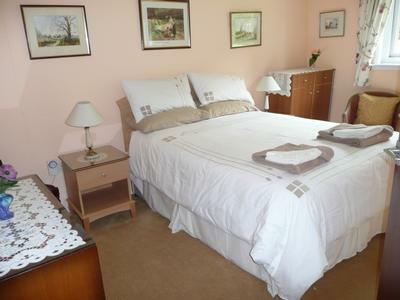 Linen, In House Towels, Electricity, Telephone, Broadband, WiFi. Please contact us using the links for availability and more information or visit our own web site. 4*Bungalow in prime village location at the waterfront with stunning views, large garden & private parking. 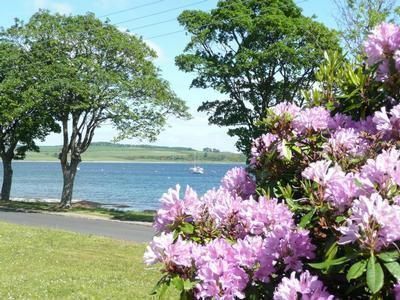 Kilchattan Bay,a peaceful, picturesque Village at the South of the Isle of Bute, is surrounded by glorious unspoilt scenery, beaches & walks. 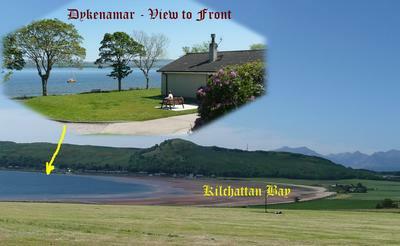 Contact Dykenamar Waterfront Cottage Isle of Bute Argyll for Enquiries and Availability.